There are twenty-four PsiberDreaming Conference presentations this year. Presentations will be posted to the password-protected conference forum at the rate of two each day, beginning after the conference Open House on Monday, September 25. Presenters are asked to participate in discussion on the day presentations are posted and for the two days following, so you will have time to ask questions in our bulletin board format, and receive responses. In a discussion which began at the 2017 IASD Conference in Anaheim, California, our three Keynote panelists: Jodine Grundy, Kelly Bulkeley, PhD, and Rev. Jeremy Taylor have been looking at the topic of political upheaval and what dreamers might do to mitigate it. Their presentations will open the conference on Monday and Tuesday, September 25 and 26. 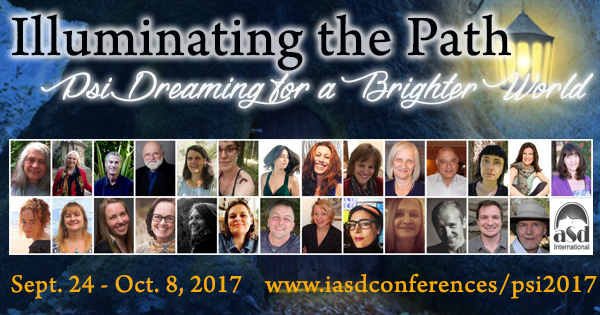 PsiberDreaming 2017, “Illuminating the Path: Psi Dreaming for a Brighter World” offers current papers from these three well-known dream experts and invites your dialog with them. This presentation is a continuation of an IASD Conference Symposium & subsequent dialogue in a July 19 teleconference on the topic of Dreams and the Current American Political and Cultural Situation. Presentations by Jodine Grundy, Kelly Bulkeley, and Jeremy Taylor will further this dialogue in a time of great collective and personal upheaval. Panelists will look at both the crisis and threat dimensions of dreams regarding the Trump effect and explore what is catalyzed by this Presidency. Emergent themes include reenergized responses to traumatic victimization of women & denigration of the feminine, images of Hillary Clinton, omens of apocalypse, and mobilization of resistance and transformation. Believing that dreams always work for survival and healing presenters will identify how these threats may be addressed and lead to deeper personal healing and help within a collective context. 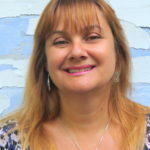 Jodine Grundy (USA) is a practicing psychotherapist, artist and professional coach. An IASD member since 1995, she served as VP, President and Board Chair and chaired numerous committees. She is an active leader in environmental, community and political organizations in which she follows and shares the wisdom of dreams. How do we cope with the “Trump effect?” What do our dreams tell us? That we are threatened by present circumstances in American and indeed global society at fundamental levels and struggle to find a way forward. Dreams also show us how to face these threatening realities internally and externally and not only cope but actually transform and create new social security in chaotic times. Kelly Bulkeley, PhD, (USA) is a psychologist of religion focusing on dreams. 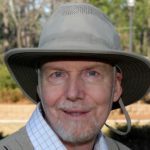 He is director of the Sleep and Dream Database (SDDb), Senior Editor ofDreaming, former IASD president, and Visiting Scholar at the Graduate Theological Union. His books include Big Dreams (2016) and Dreaming in the World’s Religions (2008). This is not the first time that human communities have faced social and political changes, prompting an outpouring of vivid and impactful dreams. This presentation will describe several historical examples of people’s dreams during periods of dramatic conflict and transformation. These examples will provide a framework for interpreting the dreams of people living through another era of political crisis in contemporary America. Jeremy Taylor, D. Min. (USA) is a Unitarian Universalist minister who has led workshops all over the world for many decades. He is a founder and past-president of IASD, and the author of four books on dreams. He continues to be intrigued and surprised by the multiple layers of meaning in every dream. The Shadow always comes in two linked and complementary forms: the obvious negative or “Dark” Shadow, and its inevitable fellow traveler, the positive or “Bright” Shadow. Pres. Trump managed to get elected in large measure because he attracted both forms of shadow projection every time he opened his mouth. His first months in office have only confirmed of the power of these related projections. The paradoxical ambiguity of both shadows operating at once is an extremely reliable indication that the archetypal Trickster is also at work. In addition, it seems to me that the archetypal energies to which Carl Jung gave the name “Transcendent Function” have also been energized and brought forward by our current individual and collective political and cultural circumstances. Carol Bodeau (USA) is an alternative healer, shamanic teacher, and Unitarian Universalist Minister. She has been co-dreaming with family, friends and strangers since early childhood, and has consciously and unconsciously shown up for a number of group dreaming experiments. She lives on a farm near Great Smoky Mountain National Park, and engages in dream and vision for both personal and community transformation. 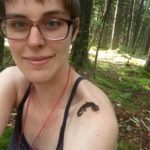 Shannon Bodeau (USA) (shown here with a friendly Dusky salamander) is an artist, sustainability organizer, and student who has used her dreams to inform both her art and work. Through dreaming, she has found access not only to collective knowledge and connection to others, but also has been instructed in concrete actions in the waking world which have transformed her own life and the lives of those around her. She lives in Asheville, North Carolina, where is is currently a senior in the ecology program at UNC Asheville. At the PsiberDreaming Conference in 2010, Jean Campbell told the story of a dream character who appeared to, and interacted with, four generations of women in her family. Since that time, Sheena, this archetypal feminine family spirit, has continued to evolve and change along with the generations of women in this matriarchal line. As mother and daughter tell the on-going story of Sheena in our lives, we explore just how the dream world–and the world of visioning in general–can dramatically alter the lives and relationships of family members. We ask how dreaming constitutes actual reality-creation, and how it is a form of powerful magic in both personal and collective reality. This presentation will also include original artwork produced by our fourth-generation dreamer, Shannon, for whom Sheena has become an important archetypal source of power. Marta Garcia Cadena (Catalonia) Born in Barcelona. 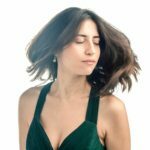 Marta is specialized in the performance of baroque, classical and contemporary singing (ESMUC, Barcelona, ​​and HMT Leipzig). She has also studied piano, musicology, musical pedagogy (UAB). She combines her artistic activity with choral conducting and teaching at the Bellaterra Conservatory. She is currently training in “Integration of Dreams” with Jordi Borràs. The exploration of dreams and music is based on taking as central inspiration in creating an original show, Oniria, which is presented as the final concert of the Master Performance in Ancient Music Singing (ESMUC, Barcelona). The show has been created in conjunction with a professional team of people from different fields putting together images, dramaturgy, scene, baroque and incidental music. The creation process was carried out with full communication between stage director, performer and composer, who takes life as provoking dreams reacting to text with sound. Original dreams, some thoughts and a poem form the central text that combines with the screening of video art inspired both in dreams, and musical pieces, intended to immerse the viewer in a game of different realities, passing without warning from the world of the waking state, to the dream, from the unconscious to the conscious. Maria Carla Cernuto (USA) is IASD’s Florida representative, an ordained Spiritualist Minister and teacher of occult subjects. She serves as a reflector and blogger for DreamsCloud.com. A past PDC inspired Maria to create a forum where an intimate group could hone their psi dreaming skills; they have been practicing since 2011. Eco-dreaming explores the supposition that the power of likeminded individuals may be directed to protect our environment and create positive changes in the outer world. This presentation begins with an excerpt from the journal of a Passamaquoddy Clan Mother and Medicine Woman warning of a future time when Mother Earth would need healing, their water would be poisoned and their treaties threatened. Adventures with a group of oneironauts will be reviewed. We set our intention to incubate dreams to stop the Dakota Access Pipeline from violating sacred Native American land, their water supply and longstanding treatises. Our first round was encouraging, we witnessed the Army Corps of Engineers retreating from the protest site just days following dreaming; and our second venture was succeeded by a federal court victory for the Standing Rock Lakota-Sioux Tribe. The latter part of the presentation focuses on dreams intended to inspire a developer and city council to save an area of land in Washington State known as the Natural Greenspace Buffer. Our earlier efforts to aid the Lakota people extended into this endeavor too, for the spirits of the Native American “Dog Soldiers” appeared in a dream of one of the activist’s involved in the Greenspace negotiations. The outcome was auspicious for this mission as well, protecting 70% of the land as opposed to clear-cutting the region for development as originally planned. Keywords: Native American; group dreaming; environmental activism. Laurel Clark (USA) has been recording her dreams for 40 years. Her book Intuitive Dreaming reflects her love of the ways dreams help us be more inspired, creative, and intuitive. She is a teacher of metaphysics, interfaith minister, counselor, and the current Chair of the Board of IASD. Have you ever had dreams of being late for an important event? Perhaps seeing a clock in your dream and panicking because it’s time to do something … and then you wake up to find that in waking reality the clock shows the exact time you dreamed? On the other hand, some dreams seem to go on forever, in a wonderful story that seems timeless even when the physical time of the dream may be much shorter. What makes the difference? What is time, really? I have heard people say that there is no time in dreams. My belief is that the “felt sense” of time varies depending upon the dreamer’s frame of mind. When we shape waking life according to “things that must get done” and forget the purpose or meaning of those events, “time” seems to becomes a limitation. When we immerse ourselves in the learning, the creation, and the meaning of the experience, physical time seems irrelevant. The Mayan natural time calendar (13 months of 28 days, based on the moon’s cycles) functions on the principle that “Time is Art.” The Gregorian calendar (12 months of varying days, based to some extent on the sun) functions for commerce. The word “calendar” means “account book.” Do our dreams reflect how we experience time differently according to our waking focus on creativitiy and/or productivity? This paper presents how time occurs in dreams, how it is felt in dreams, and brings up questions about what that means for us in our waking state. 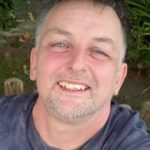 Metka Cuk, MA (Australia) is a dream worker, blogger, translator and hobby artist. Metka has been intrigued by her own dreams all her life and has worked intensively with her own and other people’s dreams for the last six years. What is my Ethnicity in my dreams? I am of Slovenian background but made Australia home more than twenty years ago. For this presentation I asked myself: Do my dreams reflect my ethnicity? If so, am I Slovenian, Australian, something else, or nothing at all in my dreams? Some of my dreams included in the presentation were incubated, others occurred spontaneously over the years. Fairly firm and clear views that my dreams offered in response will be explored in this presentation. Alexandra Enns (Germany) studied Slavistics with the focus on Russian literature at the University of Vienna. 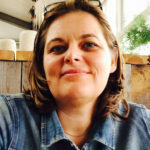 Presently, she is a dedicated mother and writer on topics covering personal development by dream work and within lucid dreams, mainly through her German blog “Traumlektuere“ and regular articles for the Lucid Dreaming Experience Magazine. What exactly is hypnagogia and where can its source be located? Not only is this phenomenon of random, rather temporary character between the stages of sleep, but may also serve as a purposeful way of the communication with the subconscious. Through surrendering and trusting the received information during a meditation practice, helpful dream interpretation and advice for all areas of life may be obtained. Combined with consistent dream work, the recipient may both heal himself emotionally and support others while coping with their life challenges. 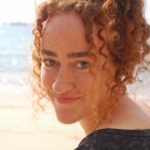 Tzivia Gover, MFA, CDP, (USA),is the director of the Institute for Dream Studies and the author of Joy in Every Moment and Mindful Moments for Stressful Days, among others. Her forthcoming book, The Mindful Way to a Good Night’s Sleep, addresses sleep, dreams, and waking well (Storey Publishing, December, 2017). For more information visit www.tziviagover.com. 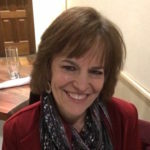 Sherry Puricelli, MHA, M.Div., (USA) is a writer, poet, spiritual advisor, visionary dream coach, and owner of AwakeNDream, a Connecticut-based organization dedicated to nurturing Body, Mind, and Spirit. 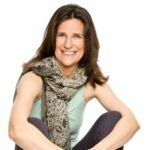 She leads retreats, classes, workshops, and individual sessions combining coaching with intuition and synchronicity, along with dreamwork, embodiment, and ceremony. We dreamt the shaman ring or did it dream us? Enter the world of dreams, synchronicity, sacred land, mysticism, shamans, and some might say, a little bit of magic. Weave it all together with two kindred spirits who share friendship and a love of dreams. The result is a story still in the making. Tzivia Gover and Sherry Puricelli always discuss their dreams. This one day, however, in a restaurant, over a bowl of fresh guacamole, the dream took on a life of its own. It was a dream about a stone, a very unique and specific stone. Sherry described it in vivid detail. It was a small, round blue stone and she had the task of placing it in a ring setting. In that precise moment, Tzivia removed a ring from her finger and handed it to Sherry. Ironically, the ring was a perfect fit for Sherry’s finger. In the ring was a round blue stone just like the dream prescribed. “It’s a dream stone,” Tzivia said, and it was. Since that day, the ring has traveled from Sherry to Tzivia and back again multiple times. It has traveled, perhaps across time, and it has brought with it stories of ancient cultures, blessings, and ceremony. We hope your hearts will be opened as ours have been as we bring the story to you. Gather round, stoke the campfire, and listen as the story unfolds. 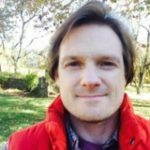 Ryan Hurd (USA) is a lecturer at John F. Kennedy University and editor of DreamStudies.org. Ryan also likes to tromp around the woods looking for signs of Johannes Kelpius, a 17th century Transylvanian nature mystic who apparently awaited the apocalypse by meditating in a cave near Ryan’s house. No luck yet. In the summer of 2016, I accompanied an inter-disciplinary team of scholars and indigenous practitioners to the South of France. Organized by the Worldwide Indigenous Science Network (WISN, our group visited a half dozen Paleolithic painted caves of the Dordogne, many of which have intact human painting that are more than 25000 years old. Our mission for the trip is best encapsulated by the aims of indigenous science: to perpetuate earth-based knowledge systems and to link it with western science to find clues to foster bio-culture resilience. I will explore how descent into the caves in a sacred context invites a shift of consciousness akin to dreaming and what this shift implies from emotional, interpersonal and ecopsychological levels (Bogzaran & Deslauriers, 2012). This presentation is mostly personal process and insights gleaned from the trip with a focus on the transformational power of sacred sites and their continued relevance today for affecting human consciousness (Hurd, 2011). I hope that sharing this intimate view of caves in France can soften hearts and further dialogue so Western society can get a little closer to a more balanced human nature. Bogzaran, Fariba & Deslauriers, Daniel (2012). Integral dreaming: A holistic approach to dreams. Albany: SUNY Press. Colorado, Apela (2014). Scientific Pluralism. Vol. 2 of The Pari Dialogues: Essays in Indigenous Knowledge and Western Science, edited by F. David Peat. Pari, Italy: Pari Publishing. Hurd, Ryan (2011). Integral archaeology: Process methodologies for exploring prehistoric rock art on Ometepe Island, Nicaragua. Anthropology of Consciousness, 22(1), pp. 72-94. 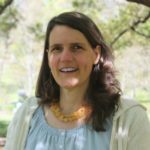 Clare Johnson, Ph.D. (UK and Germany) has researched lucid dreaming for over twenty years and is a lifelong lucid dreamer. She has written two lucid-dream-inspired novels (as Clare Jay): Dreamrunner and Breathing in Colour. Her nonfiction books are Dream Therapy: Dream your way to health and happiness, and Llewellyn’s Complete Book of Lucid Dreaming. For more information go to Clare’s web site at www.DeepLucidDreaming.com. When we engage lucidly with our dreams, we illuminate them from within. One of the wonderful things about lucid dreaming is that we can guide the dream into a soulful, spiritual experience as soon as we realise that we are dreaming. Soul dreams are luminous dreams that have a special intensity or power for us. This presentation explores the transformative power of light in lucid soul dreams. Light in dreams tends to reflect a connection to spirit and soul, and when we begin to pay attention to luminous dream imagery, or light-filled spaces in our dreams, we begin a whole new adventure that can lead us to incredible experiences of bliss, safety, oneness, and compassion. The presenter, author of Dream Therapy and Llewellyn’s Complete Book of Lucid Dreaming, shares her six-step programme to having lucid soul dreams, and offers tips on how to navigate dreams where there is nothing but light. She also shares the transformative practice of bringing soul dreams into the body. When we follow the light we see in our lucid dreams, we enable a deeper understanding of ourselves, others, and the universe. Jeannette Lambert (Canada) is a jazz vocalist and multi-media artist who uses dreamwork as part of her creative process. 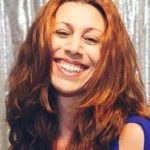 She is a member of several international online dreamsharing forums and has recorded many of her dream-inspired songs on her music label, Jazz from Rant. 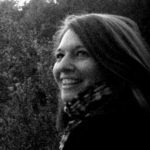 Her article on why she keeps a dream journal was recently published in the IASD’sDreamTime magazine. She led a workshop on singing your dreams at the conference in Rolduc last summer. She writes a blog with articles on her dreamwork and more at http://www.jeannettelambert.com. As psychic dreamers, we often find ourselves marveling at the power of dreams, exclaiming over instances of precognition or syncs in mutual dreaming, enjoying those happy moments of ‘aha’. But in my experience, an important step in good dream work goes beyond paying close attention and noting nudges from the universe. It’s also vital to take that cosmic nudge a step further by on acting on it in waking life. In this paper I will share several examples of how I have acted on dreams in waking life and share the consequences of those actions. These stories include : dreaming of a mysterious exhibition that prompted me to buy a gift that my father-in-law had secretly been coveting; a dream incubation and subsequent dream that inspired me to sell stocks just before a stock market crash; a precognitive dream that returned to me just in time to help a stranded hiker in waking life; plus an example of how to bring some dreaming magic and gifts into one’s daily life. If we can use dreams to share with one another, to bring one another gifts, sometimes to save one another from precarious situations, we will undoubtedly make the world a better place. Kelly Lydick (USA) received her M.A. in Writing and Consciousness from the New College of California. 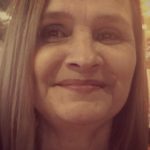 She holds certifications as a Meditation Facilitator, Reiki Master, Crystal Reiki Master, Past Life Healer, Animal Reiki Master, and Gateway Dreaming™ Coach. She teaches writing and metaphysical workshops, and offers private consultations through her company Waking the Dream. She is the author of the experimental, Mastering the Dream. You can learn more about her work at www.kellylydick.com. Dreaming with intention is not something new to dream practitioners. Some intend to dream lucidly, some intend to ask questions and have them answered, still others dream with the intention for greater self-awareness and understanding. Howwe structure that intention makes a difference in the quality and consistency in the dreams we dream. In order to gain greater self-awareness and understanding, it is necessary to work to illuminate elements of the psyche that are in shadow. Successfully illuminating parts of the shadow to reveal faulty beliefs of the subconscious mind can be done easily with specific dream incubation questions. “Dream Incubation: A Two-Part Method of Inquiry to Reveal the Shadow” explores a two-part technique of languaging dream incubation questions and prompts for maximum effectiveness in order to reveal the shadow elements of the psyche. This presentation will provide an overview of a two-part incubation process to illuminate the shadow for greater self-awareness and understanding—just one step in creating a better, more conscious world. 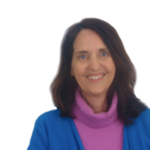 Mary Pat Lynch, PhD, (USA) is an writer, astrologer and shamanic practitioner. 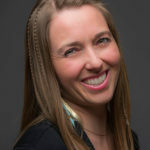 A vivid dreamer since childhood, her dreamwork journey began in 1999 with Jill Fischer and Robert Bosnak, Robert Moss, and Steve Aizenstat, as well as working with dreams in shamanic journeys. 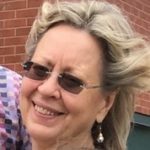 She’s been an IASD member since 2006. On August 21, a total solar eclipse will be visible across the United States. The first total eclipse visible in the US since 1979, and the first coast-to-coast eclipse since 1918, this event already looms large in our consciousness. Astrologically, the eclipse happens at the end of Leo, sign of courage, creativity, playfulness, joy, and the heart. Solar eclipses occur at New Moons. Both are beginnings. An eclipse New Moon is a portal, a gateway that looks back 19 years to the last similar eclipse and ahead for six months, a year, and more. This eclipse will affect each of us individually, the world as a whole, and the USA in particular. The eclipse opposes the Moon in the US Sibly chart, and falls on Trump’s Ascendant and Mars. Stuff will be happening in and around this eclipse. This workshop invites Psiberdreamers to share eclipse dreams and experiences. As in previous workshops, my role will be to provide the astrological context. This will include sharing interpretations of the eclipse chart and other relevant charts. I will also (as in the past) be open to commenting on the birth charts of interested participants in relation to dream and life experiences. I’m preparing for a fascinating discussion. 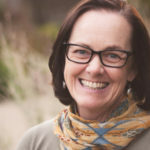 Linda Mastrangelo, MA, LMFT (USA) is an educator, artist and psychotherapist with a private practice in the San Francisco Bay area specializing in grief and dreamwork. 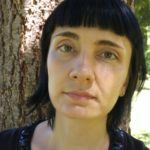 She has presented her work on dreams internationally and for numerous publications including as a contributor for the highly anticipated book Sleep Monsters and Superheroes. Linda also serves on the Board of Directors, is the Continuing Education Administrator and Editor of Dream News for IASD. You can visit her website at (www.lightningtreetherapy.com). What if your dreams are not just your own, but part of a global picture? This is a concept that comes up often when I lead dream groups or participate in a group dreaming thread. It seems the more we dream together, the more our imagery synchronizes. It’s as though our individual dreams are pieces of a ‘shared dream’ or bits of a larger whole. Sometimes they are precognitive, too, as though they hold the ‘psychic blueprint’ for the greater community. In this presentation Susan Watkins, author of the groundbreaking book Dreaming Myself, Dreaming a town, will be highlighted along with environmental phenomena of the Baja whales to explore ‘collective dreaming’ and how this phenomena usually happens in clusters around a major event, making the pattern more visible. pasQuale Ourtane (The Netherlands) is the founder of LD4all.com, the lucid dreamers community, a community dedicated to spreading the art and knowledge of lucid dreaming online, since 1995. She holds a MSc in applied cognitive psychology and a MA in European Media. Lucid dreamer by night, by day a consultant at a large international consulting firm. Six months ago I have lost my husband after an almost 16 month long battle with colon cancer. I want to share with you what role my dreams have played in this roller coaster of hope and fear that was our life from the moment of the diagnosis. How a dream has foretold this (although I didn’t know it at the time), how dreams have kept me hopeful, how dreams guided me along the way. To tell all of it, would be half a book, and not fitting in a PDC paper. So in this paper I will give you one thread of many that fill the tapestry of that journey. One thread to follow through and lead you through. This is the thread of how I have conquered my worst fear. Paul Overman, Ph.D. (USA), is an East-West specialist, a former clinical practitioner of forty-five years, and author of The Shamanic Dream. 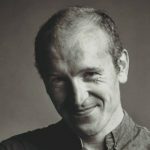 A graduate of CIIS in Integral Counseling Psychology, Paul currently provides spiritual-life guidance for individuals and groups through yogic dreamwork, meditation, and eco-spirituality – with a current focus on the tantra-yoga cosmology of India, shamanism and spiritual healing. Though the word ʻaumakua is Hawaiian, indicating an ancestral spirit or deified family or personal ancestor there appear to be universal parallels in other cultures or traditions. The ʻaumakua often manifests as an animal, or through an animal, appearing in dreams as well as in physical form. Respecting and honoring the unique Hawaiian spiritual tradition and that of their ʻaumakuas, we may learn from the Hawaiians about our unique dream state potential of meeting and developing a relationship with special ancestor-connected animal guardians – particularly in the form of humankind’s best friend, the canine. Paul will introduce from an East-West perspective how the inner light and powers of one’s spiritual ancestors or guardians can manifest in the form of an animal or pet, interacting with the dreamer in visions, dreams, and everyday life – giving protection, warning, healing or guidance. The human “master” mutually shares his or her inner Light, while protecting and nurturing the physical life and development of the ʻaumakua canine, and can even assist the developing dream body of the ʻaumakua – as the ʻaumakua also assists the dreamer, through mutual dreaming with its special inner senses and powers. To assist in understanding the reality and potential of this type of canine ʻaumakua-human relationship, Paul will share personal dreaming experiences, visions and waking state experiences with a canine ʻaumakua Golden Retriever named Andy, extending twelve years. 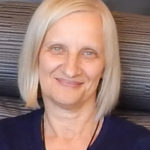 Cynthia Pearson (USA) inaugurated and hosts the PsiberDreaming Conference’s Precognitive Dream Contest; helps facilitate the Telepathy Contests at IASD’s annual conferences; has chaired many “Long Term Journal Keeping” panels; and presides over dreamjournalist.com. She is the author of several books, including Dreaming the Dead, a mystery concerning the study of dreams. Consciousness, Qubits and Code, Oh my! In 2015, I described my years-long efforts to comprehend quantum mechanics as a means to grasping the nature of psi dreams. Since then, some exciting and challenging prospects have come to light on the frontiers of science that may lead us all to a new understanding of the nature of reality and, I am hoping, how our dreams reveal this to us. The other front will be mentioning how “hundreds of researchers in a collaborative project called ‘It from Qubit’ say space and time may spring up from the quantum entanglement of tiny bits of information.” (https://www.scientificamerican.com/article/tangled-up-in-spacetime/) Those tiny bits, called “qubits” (cube-its) amount to code, which scientists hope to crack in the hope of reconciling general relativity and quantum mechanics. But the notion that information rather than matter (atoms) may form the basis of reality has vast implications for everyone. There is no question that these ideas are mind-boggling. In my 2015 presentation, I followed in the tracks of Montague Ullman’s paper, On the Relevance of Quantum Concepts to Dreaming Consciousness, illustrating his viewpoints with examples of psi dreams from my own journal. However, the simulation hypothesis and the search for qubits go far beyond Monte’s speculations. Do we dare venture forth without a guide? I propose that at the very least, we can, and should, guide ourselves to engage in a lively conversation! Ralf Penderak (Germany), a nurse, worked with his own dreams for most of his life. His focus is group -, psi – and lucid dreaming. A longtime resident of the World Dreams Peace Bridge, he also co – facilitates the Group Psi Game, and made it to the podium in some PDC contests. The author will go into how the World Dreams Peace Bridge dealt with the darkness in the world, especially the row of terrorist attacks in 2017, culminating in our focused group dreaming, the Da Full Moon, in June 2017. He will give an impression of group life and touch psychological, social and religious aspects, as well as the role of the experience of psi in the group’s effort to create a universe in which peace rules. Delia Puiatti (Australia) is an artist, designer, writer, former transpersonal counsellor, and director of Unknown Quantity. She’s soon releasing her Psi-Fi book series, exploring psychology and philosophy through design and art. 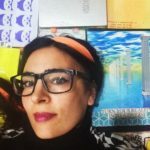 With a lifelong focus on dreams, she’s dedicated to exploring spirituality, dreams, and creativity through writing, art, mysticism, design, illustration, and dream journaling. We face our days with just five senses, which are great for finding our way around the material world, but what about navigating inner worlds and life’s great journey? How can we develop ourselves and live well with such limited perception? We, as humans, can only see a limited amount of the whole in any given situation – the light and audio spectrums, our scope of vision, even only so far into the sky or the future of our own life, or having to make a concerted effort to see numerous sides of a given situation. Are we doomed to stumble our way through life with this limited perception? If we bring psi and dreams into the equation, then the answer is no – in fact, the answer is psi, and the real question is, how do we evolve further by applying intuitive abilities? This paper explores the concept of building a personal relationship with psi through our higher aspects, with an experiment for cultivating a more direct connection of trust and openness in order to rely on psi as a trusted ally and a tangibly effective function. Several dreams are examined to demonstrate the way a personal, mystical relationship with psi can help illuminate the way, assisting us in our spiritual walk in an intimately accessible way which also helps us to develop more compassion, insight, and faith. This paper will reflect a number of personal dreams I have had where interdimensional light has appeared to carry information which provides pathways to other dimensions. Indigenous prophecy, legends and folklore willalso be explored in connection with these dreams, where interdimensional lightis stored at sacred sites and through record keepers. Our journey will explore dreams into the light of the ancients as a means of interdimensional travel, and connections with ancient wisdom held in secret. This ancient language of light may be a means to help shift us into a consciousness of interdimensional travel. The places in dreams and waking reality where this language of light has appeared for me over the past few years includes an ancient tree, a stone stargate in Bolivia, a shaman’s stone,and a volcano in Guatemala. This light language of which the ancients knew, could be appearing now in dreams, visions, meditations and shamanic journeys to help prepare us for the shifting of consciousness and entering into other dimensions of reality. The presence of interdimensional light in dreams may be presenting us the opportunity to dream shift our reality. Lean Siegrist (Switzerland) lives in Basel and works as a massage therapist and in the movie/event environment. In the year 2015, because of his interest in dreams, he began to attend the further education in analytical psychology at the C.G. Jung Institute. At the Psiberdream Conference 2016 he was a successful participant in the precognitive dream contest. With my presentation I would like to show how much we are living in a world created and connected with the energy of dreams. I would like to elaborate about the history of a dream Alexander the Great had of Homer citing the island Pharos. After awaking from this dream Alexander the Great decided not to build Alexandria in the desert but instead traveled to the island Pharos in the Nile delta. As he saw the island he thought Homer is a genius and decided to build Alexandria on Pharos. Later Alexandria was known for centuries for a very large library and a legendary lighthouse. Maybe the library and the lighthouse were destroyed, but their influence, as well as the energy of Alexanders dream of Homer citing Pharos, is still very present in our lives.